An online manual for success with the new precious metal clays. Register with the ArtJewelry site and receive a free download of Nanz Aalund’s tutorial. A wonderful video by Tonya Davidson. 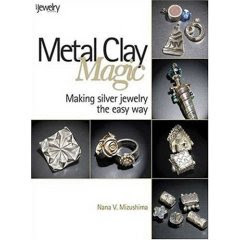 A series of videos on many aspects of metal clay work. The very best informational and instructional lenses you’ll find anywhere.